The new Church Trends website offers far-reaching statistical data about the PC(USA) and its congregations, presbyteries and synods. LOUISVILLE – Church Trends, the Presbyterian Church (U.S.A.)’s new online statistical resource, has bolstered the denomination’s ability to provide Presbyterians accessible, useful and timely information about their church, according to the research tool’s developer. The goal of Church Trends, she said, is to provide answers to questions Presbyterians frequently pose. Barnett has kept a notebook next to her telephone for the past four years and has recorded the questions Presbyterians have asked her. “For example, we get a lot of calls from people who say they are moving to a new city and are looking for a Presbyterian church,” Barnett said. Many callers, she noted, want to find a congregation that they believe can meet a specific need. “A family that has elementary-aged children may want to find a congregation that has children in that age group,” she said. “You can find that information on Church Trends.” She explained that every Presbyterian congregation in this family’s new city will likely have a statistical snapshot on Church Trends that includes the number of children enrolled in Christian education programs. The street and web addresses of congregations are also available. Overview- provides a quick summary of membership, disabilities, racial ethnic diversity, leadership and finances. Membership-reports members, baptisms, gains, losses, attendance and age. Finances-reports the numbers of potential giving units, budget finances, income and expenditures. Diversity-reports membership by gender, race/ethnicity, and age. Education-reports age and grade enrollment in Sunday school. Leadership-reports the race/ethnicity of deacons and session members. Females-reports the number of total female members and females by age, racial ethnic diversity and leadership. Males-reports the number of total male members and males by age, racial ethnic diversity and leadership. Barnett said that congregations and mid councils seeking data for planning purposes can readily access their statistical information across a five-year period. Church Trends also enables congregations to see how their statistical data compare with the statistical averages of congregations of similar size in their presbytery and synod as well as the national church. They can compare membership gains and losses, age diversity, racial ethnic diversity, gender diversity, the size of the session and deacon body, and budgeted finances. 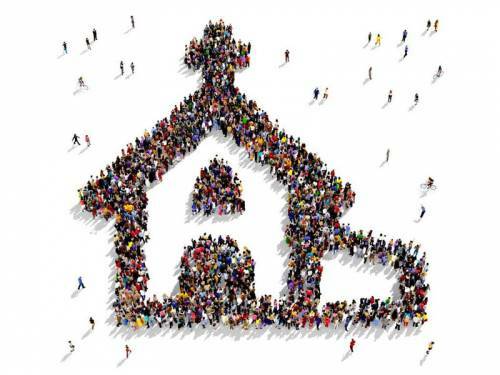 The ability for Presbyterians to learn how their congregations compare with peer congregations is one of the benefits Church Trends offers that was not available in the previous online statistical resource. Prior to Church Trends’ launch, Presbyterians could only see how their congregation compared with national averages across statistical categories. That data, Barnett observed, had limited usefulness for congregations with memberships significantly smaller or larger than the average. Membership information on Church Trends is reported from congregations through the Session Annual Statistical Report. Congregations send these reports to their presbyteries, and they share them with the Office of the General Assembly (OGA). Ministerial data also are provided by the presbyteries to OGA. The number of ministers of Word and sacrament serving in every presbytery and synod as well as the national church can be found on Church Trends. It also gives information on the types of ministries in which they are engaged. “If somebody wants to know how many Presbyterian chaplains are serving in the Navy, you can find that information on Church Trends,” Barnett said. Upgraded technology allows new statistical data to be posted online much more quickly. The 2017 statistical data was released by the Office of General Assembly on June 4 and was available on Church Trends days later. Barnett said the previous system was more labor intensive and required several months to upload the information online. Other features eventually will be added to Church Trends, including a report on Special Offerings that will be updated quarterly, Barnett said. The previous online statistical resource contained data for a 10-year period, but Barnett said most congregations and mid councils draw data from a five-year period for planning purposes. If information beyond five years is needed, Barnett said it can be provided by Research Services. The request may be emailed to church-trends@pcusa.org. In addition, she said congregations and mid councils may email data corrections to that address. Visit Church Trends by clicking here or by visiting pcusa.org and using the “I’m looking for” drop-down menu.